In order to decrease the energy consumptions in energy conversion devices, boiling heat transfer augmentation is one of the important research activities for the scientific community. 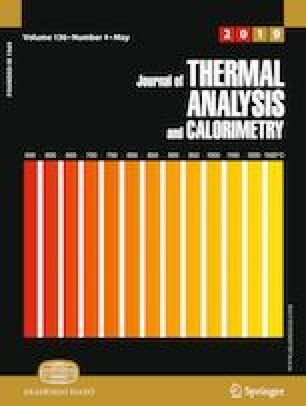 In present study, the pool boiling heat transfer characteristics of Cu–TiO2 composite coating on copper surfaces are reported. A two-step electrodeposition technique is employed to develop the nanocomposite coatings on copper surfaces, where higher current densities are applied for a short period and then the deposition is continued with lower current density for longer period in the second step of electrochemical deposition. The layer deposited during the first step is fragile, which is stabilized during the second step of electrodeposition at lower current density for longer duration. The surface morphology properties like porosity, wettability, coating layer thickness are easily controlled by managing the electrodeposition parameters like electrolyte composition, deposition time and current density. The pool boiling experiments are performed on bare and composite-coated surfaces at atmospheric pressure with saturated DI water. The boiling performance of coated surfaces is compared with the bare (uncoated) surface. The maximum boiling heat transfer coefficient and critical heat flux on coated surfaces are achieved to be 151 kW m−2 K−1 and 1988 kW m−2, which are 185% and 86% higher than the bare copper surface, respectively. The enhancement in boiling performance is associated with several parameters like increase in porosity, presence of high-density nucleation sites, and improvement in surface wettability. The authors acknowledge the Sophisticated Analytical Instrument Facility, Indian Institute of Technology Mumbai, India, for providing FEG-SEM facility.